Dentsu India bagged the creative mandate for Mazhavil Manorama – one of Kerala’s entertainment TV channel. The account was won following a multi-agency pitch and will be handled out of the agency’s Kochi office. “We liked the way Dentsu India approached the pitch in a very creative and unique manner. 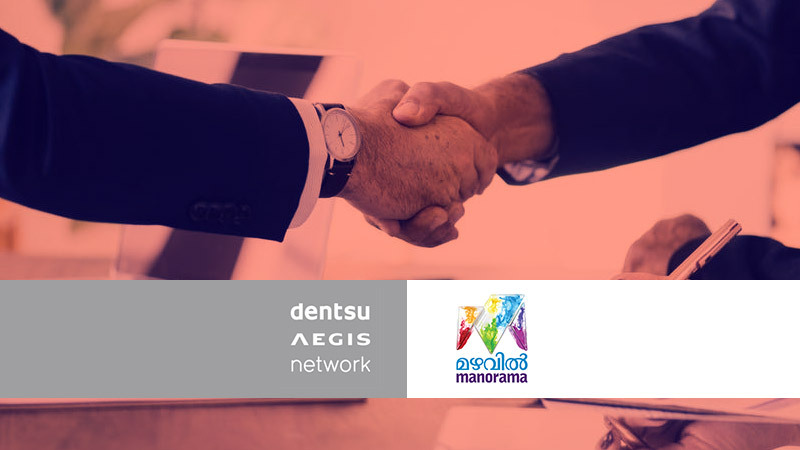 Vidya Sankar and team have displayed excellent understanding of the category and we are certain that Dentsu India would give a clear and distinct character to Mazhavil Manorama,” says PR Satheesh, COO, MM TV. Mazhavil Manorama is the most popular entertainment channel in Malayalam that continuously engages and entertains Malyalee viewers – the young and old, the men and women – across geographies in India and abroad. Launched in 2011, ‘Mazhavil’, as the channel is popularly known, is owned, operated and managed by MM TV Ltd., the broadcast arm of Malayala Manorama – one of the largest and earliest media houses in India.